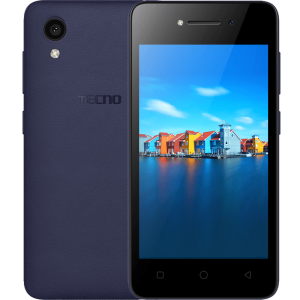 Launched silently by Tecno Mobility, the Tecno W1 is a 4-inch Android smartphone featuring a gigabyte of RAM and 8GB of onboard storage presently retailing online in Nigeria for well under N18,000. As per usual, the Tecno W1 is a dual SIM device which, as you would expect for that price, does not support 4G LTE. The familiar Android Nougat found on most Android devices launched in 2017 is also what the W1 ships with. Android Nougat through Tecno’s HiOS that is. Design-wise, the device is made of plastic and comes in about 3 different color options. The display is a TN touchscreen with a size of about 4.0 inches diagonally and a resolution of 480 x 800 pixels, bringing its pixel density to around 233. For heavy-lifting, a Quad-core MediaTek CPU clocked at about 1.3GHz is embedded within the device, and it is assisted by about a gigabyte of RAM. The Tecno W1’s onboard storage is 8GB large which can be further extended by a microSD card with capacities up to 32GB. The Tecno W1 features a 0.3-megapixel front facing shooter which has a dedicated LED flash and at the back is a 2 MP lens having another LED flashlight beneath. The device also features a battery with a capacity of about 1800mAh. I like the phone, It’s very very smart. All this little kids will have something nice to start with, this is a nice phone. i’m now interestend to tecno w1…..i can now own my but the question is*where do i get one?? Is d camera very good….both front ND back??? Have got a tecno w1 but the screen isn’t responding, it switches on as normal but won’t respond when you touch the screen, can’t even answer any calls please help!